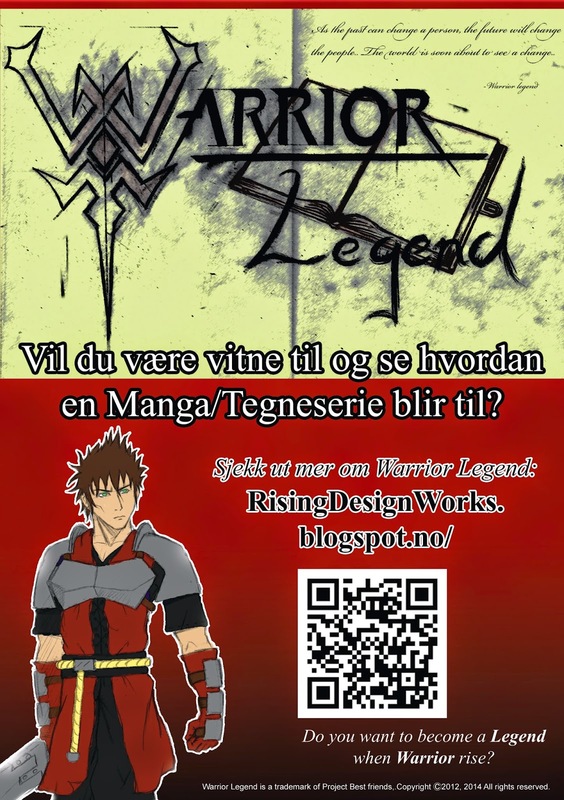 Warrior Legend Manga Universe: WL is Getting Promotion! Yes, back again, last week's been busy since I'm trying to make everything work together in the daily life as well as here, and I want to thanks does who check in here often or every Wednesday. Not so much to show for lately, but I've been talking with my friend about what we will be working on these coming days. Improve the character Zakaria, work with storyboard. This consumes much time, and especially then you have a 8 hour work day as well, but we are getting there! About my work besides this, I haven't talked much about it, but I'm a store manager at a Japanese based hobby shop under the name Neo Tokyo. Basically we sell all sorts of Anime/Japan related items! This weekend there is a anime-convention in town called Desucon. I'll be having a stand there with the shop. Another friend for mine from Mangapolis.com (You can find a link on the right) is also working on a project on his own, he will attend with a private stand and promote his stuff, not only, he wanted to promote Warrior Legend for me with this flyer I spent last night making, thanks mate! As you see there is no new material on the flyer, sorry. If any of you readers are going there by any convenience, I'm looking forward to see you, but you will find me at Neo Tokyo stand! "Do you want to witness how a Manga/cartoon is created?"